Past Blue Rhythm (P.B.R.) is a five piece bluegrass band based out of Northeastern Wisconsin. 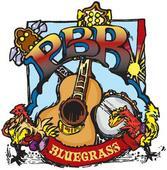 P.B.R has been performing at live events ranging from fundraisers to some of the largest bluegrass festivals in the State of Wisconsin since 2005. P.B.R. provides an energetic recipe of music containing hints of Country, Rock, and Traditional Bluegrass. The tight harmonies and fast paced picking will provide you with a lively framework for any afternoon or evening.